This guest article from Dawn Hall shares her six secrets to simple scrapbook layouts. I became interested in scrapbooking when I was in my thirties, and after I had taken thousands of pictures, most of them of my two sons. I knew that if I were to ever get caught up, I needed to come up with an efficient way to get my pictures in the albums! With a busy home and work life, and with just a few hours a week to scrapbook, I couldn't spend an entire afternoon on just one layout, especially with the amount of photos I had laying around. I will admit that I have spent hours on just one page, but over the years, I have developed my own system for making great scrapbooking albums in very little time. Here I would like to share with you my six steps to simple scrapbook layouts. These six simple tips will show you how to put together an entire album, not just one page, in just a few hours. The basic premise is to make all your selections in advance, so that your album has a cohesive, unified look, and the individual layouts in your album go together quickly. 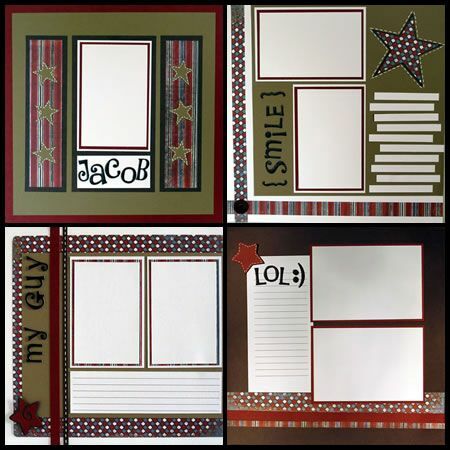 The first step for your scrapbooking album is to select a theme. The theme should reflect what your album is about. For example, if it will hold pictures of your baby boy's first year of life, then you may want to choose a train theme or a rubber duck theme. If the album is from your wedding day, you may want to select a floral theme. 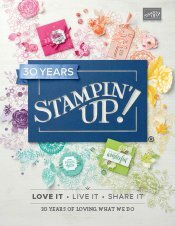 The theme will determine the look and feel for your entire album, including your patterned scrapbook papers, card stock colors, and embellishments. I love patterned scrapbook paper, so this is perhaps the most difficult step for me. For the entire album, select just one or two paper patterns. Once you select the paper you want to use, purchase several sheets, because it will be used on every layout within your album. After you have made a decision regarding the patterned paper that you want to use for your album, it's time to pick out coordinating card stock. Again, you will want to narrow your choices. Select three or four different colors of card stock. Make sure that the card stock you select coordinates with your patterned paper. Also, make sure that one of your selections is a neutral color, such as white, black, or cream. Like the patterned scrapbook paper, make sure you have several sheets of each color of card stock on hand, since you will need to have enough for your entire album. The next step in making simple scrapbook layouts is to make a determination regarding the embellishments on your pages. Select just one or two design elements for the entire album. These embellishments should coordinate with the paper and card stock you are using, and will also reflect the theme of your album. For example, when deciding on the theme, if you picked a train theme, then you will want to buy train stickers or make train die cuts for your pages. Each page in your album should incorporate train embellishments. In addition to train shapes, you could also use railroad crossing stickers and stamp railroad tracks on your card stock. Just as we kept selections to a minimum when choosing patterned papers, card stock, and design elements for our album, so too will we do the same with the fonts for our titles and journaling. There are many different ways to create titles: some scrapbookers print their own using graphic design programs, other cut theirs using a die cut machine, and others use stickers. If you use stickers, buy several packs of the same style to use on all pages of your album. If you cut your own or print your titles with your computer, again select just one font to use for the entire album. The most time-consuming part of putting together layouts is making decisions about the different page elements. By using the same fonts on all pages, your album will go together more quickly. If you print your journaling, instead of handwriting it, select just one font for this too. Step Six: Put It All Together! Grab your pictures, because you are now ready for the final step for making simple scrapbook layouts, which is to assemble your layouts! With all the decisions made regarding the design elements for your pages, they should go together very quickly. I also like to use sketches, which help me decide where to place everything on my layouts. I do not use this process every time. Some albums I make include a variety of different of papers, card stock and embellishments. However, I do like to use this method for simple scrapbook layouts when I have enough pictures from an event to make an album, such as a family vacation. This process also works well for gift albums. If you have a close friend or relative who is getting married or having a new baby, this technique can be used to create a personalized album.